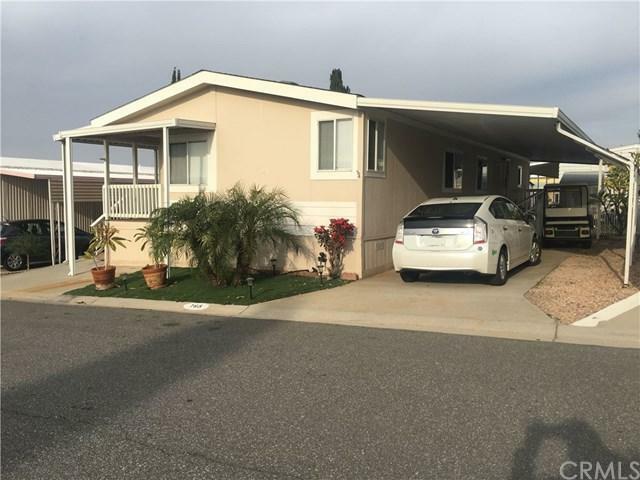 A well kept 2002 Skyline Manufactured Home located in Villa Magnolia, a 55+ Community Gated Community located in the city of Riverside, (Space Rent $785). 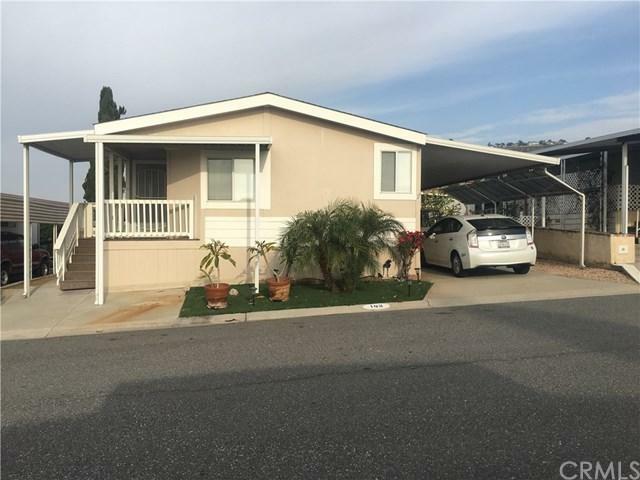 This is a spacious home with 2 bedrooms, a Den and 2 bathrooms. The home features beautiful flooring throughout (carpet only in the guest bedroom). The large kitchen, is accessible from both the dining room and living room. 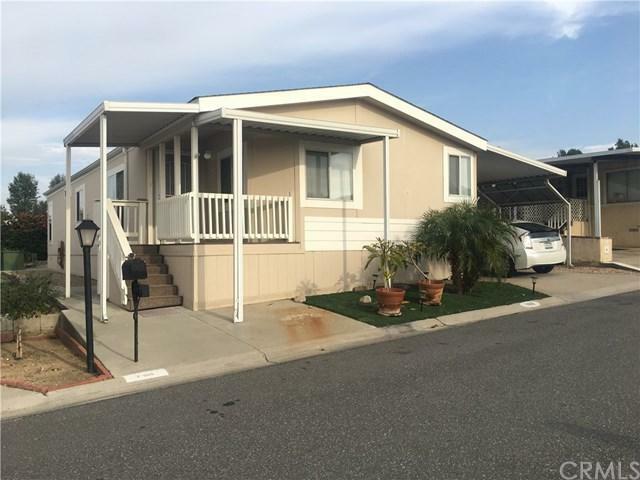 It is equipped with a Samsung 3 French Door Refrigerator, Dishwasher, and Range all in Stainless Steel along with Lots of counter and cabinet space. There is a separate laundry room that includes a full sized washer and dryer. The large master bedroom has a walk-in closet and an adjoining bathroom with double vanity sink. 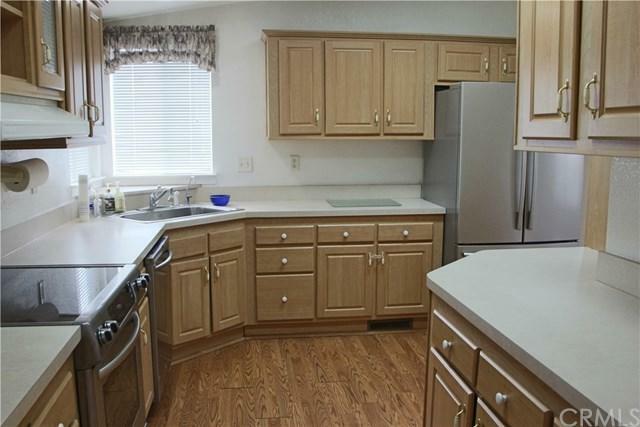 Additional home features: drywall rounded walls, fans in both bedrooms and living room, Central A/C, and 2 Sheds. The beautifully designed clubhouse sits high upon a hill with breath taking views of the city with a resort type atmosphere. The main clubhouse has a large formal living room with fireplace, full kitchen, billiards room and full exercise room, also in a separate designated building is the event room with full kitchen to use for your large gatherings. The clubhouse grounds have many well-maintained amenities to offer as well - shuffleboard, horse shoes and large swimming pool. If desired there are many scheduled and calendared activities and clubs. This community has easy freeway access and located to many restaurants, stores and shopping malls.